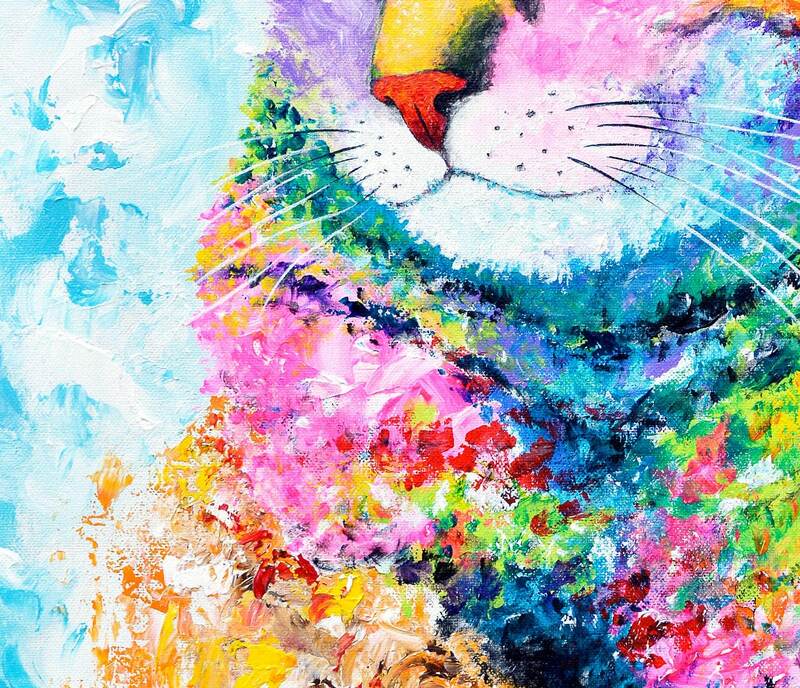 Colorful and whimsical tabby cat art print. 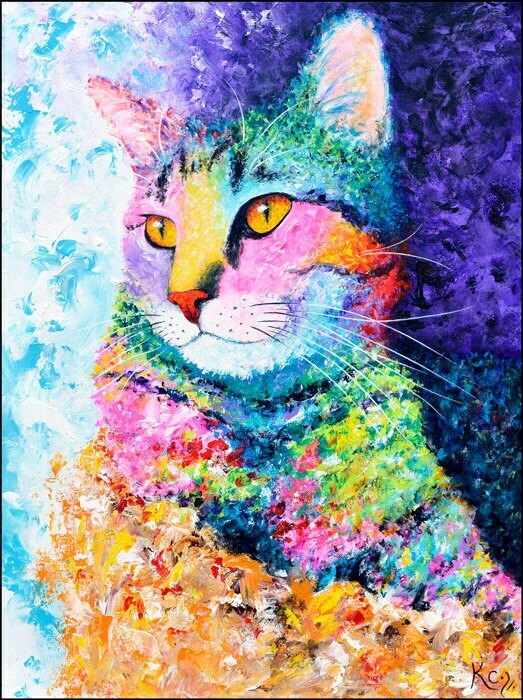 Giclee fine art print of my painting "Rainbow Tabby". 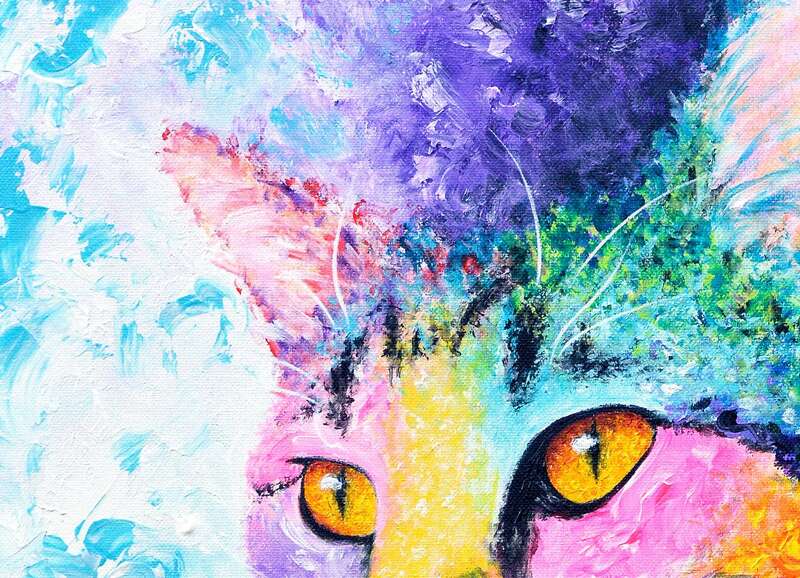 This cat artwork is a visionary impressionist style portrait of my sweet tabby cat, Mr. Samadhi. 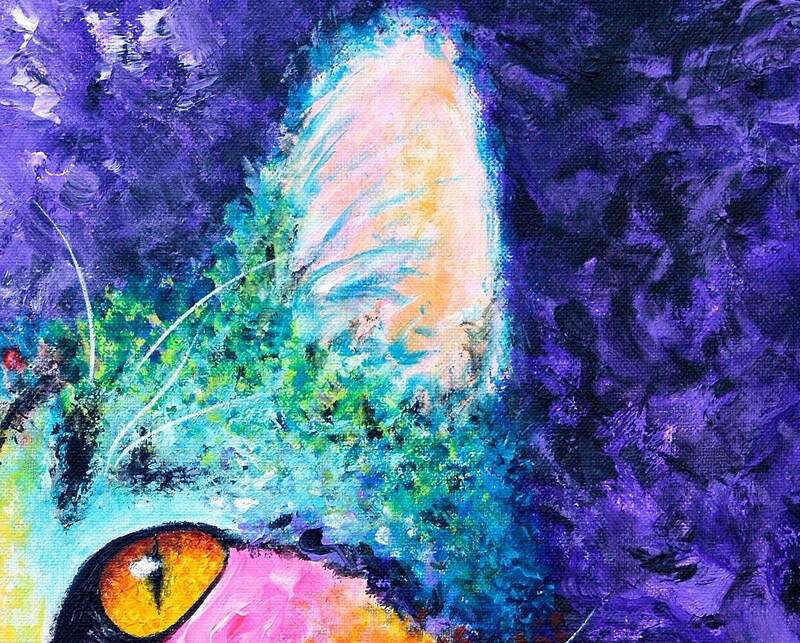 This art print would be the purr-fect gift or purchase for anyone who loves tabby cats, whimsical art of cats, cat artwork, tabby cat wall art, or a cat poster. Such gorgeous colors! Even better in person! 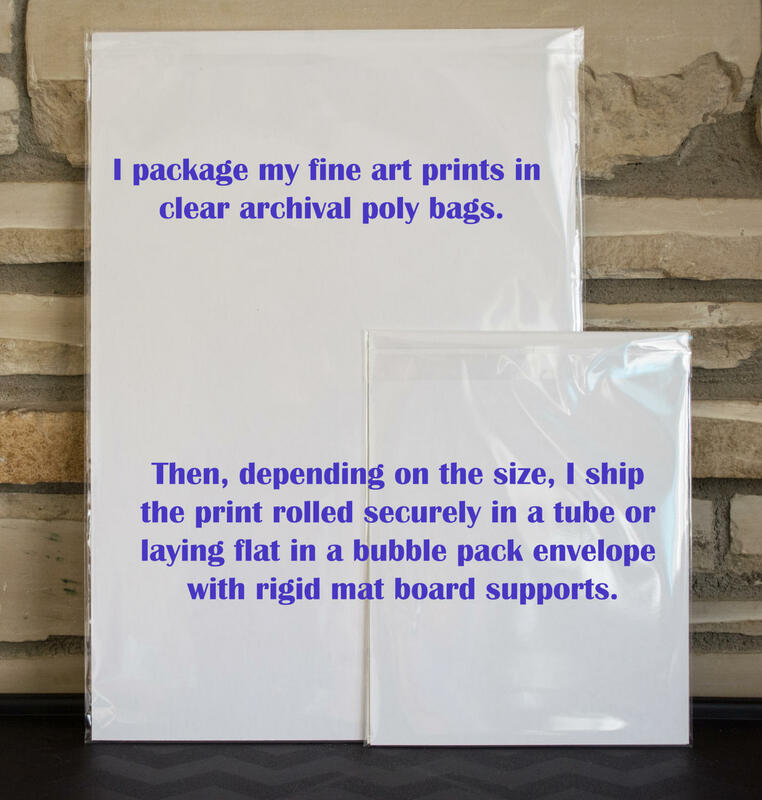 Love this art print. Great protective packaging. Thanks!